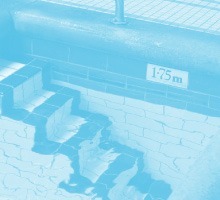 Bramley Baths | Community run Edwardian bath house - since 1904. Bramley Baths first opened in 1904 giving local people access to washing facilities. It is now a community enterprise and powered by people, a professional staff team supported by volunteers who help with events and fundraising. We offer pay as you go membership to our pool, gym, fitness classes and Russian steam room. We offer a full range of swimming lessons for both adults, children and babies. Our lesson programme is supported by our amazing swim teacher team. We have been teaching the local community to swim for over 100 years, so it’s fair to say we are experts! We have a variety of different memberships available, there’s no joining fee and no contract. Simply pay as you go for the facilities you use, it’s so easy, sign up now online or at the Baths. Events, news and community notices. Did you know that Bramley Baths is just one of 7,800 community-led businesses across England? lthough it’s one of the newest classes on offer at Bramley Baths, yoga nidra is actually an ancient technique which has been practised by those ‘in the know’ for centuries.